Every August the main street of Niagara On The Lake becomes alive with activity! (Even more so than usual!) 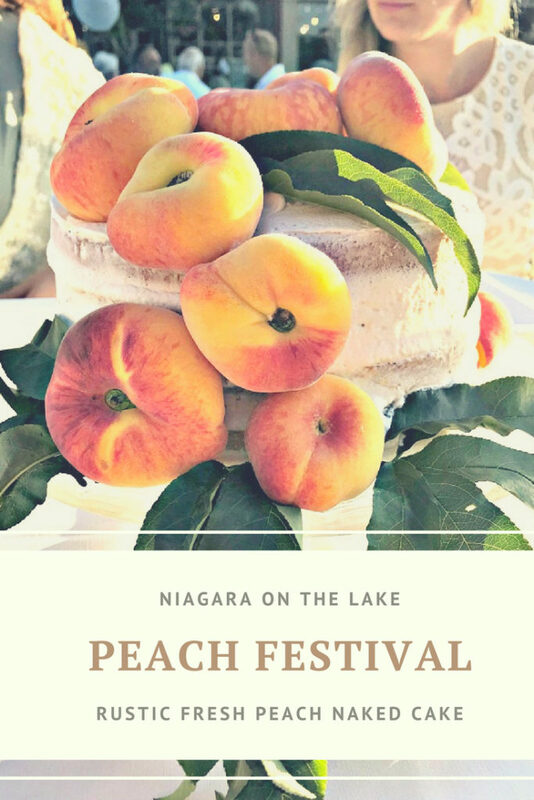 Just like we celebrate Ice Wine Festival in January, the town and tourists come together to celebrate the Niagara On The Lake Peach Festival with peaches-a-plenty! This year was no exception. While Saturday finds the street packed with farmers, shops and other vendors offering all things peachy, Sunday evening Queen Street is awash in white! 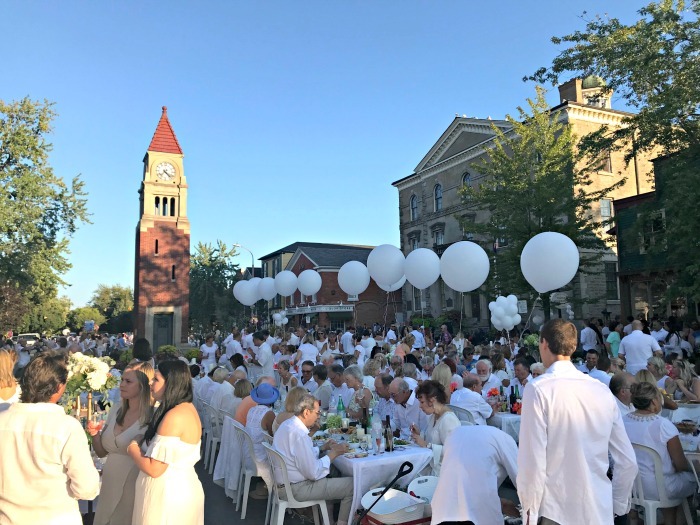 Almost 700 guests dressed in their finest whites while dining at white clothed tables, white chairs and white decorations makes for a spectacular sight as the sun starts to set. It is really an elegantly casual affair. Guests pay to reserve a table and chairs. They bring their own tablecloths and table decorations all in white. Simple or super fancy. Whatever they fancy. They bring their own meal or have it catered by one of the many local restaurants. Wine and beer can be ordered and pick it up at the dinner to enjoy at their table. Since my daughter is heavily involved in the festival each year, she asked me to make dessert for her table this year. It was also going to serve as their table centrepiece. Of course I jumped at the chance! All things sweet just happens to be a passion of mine! In keeping with the peach theme I decided to use fresh peaches purchased from local growers on Saturday to make the cake for Sunday. 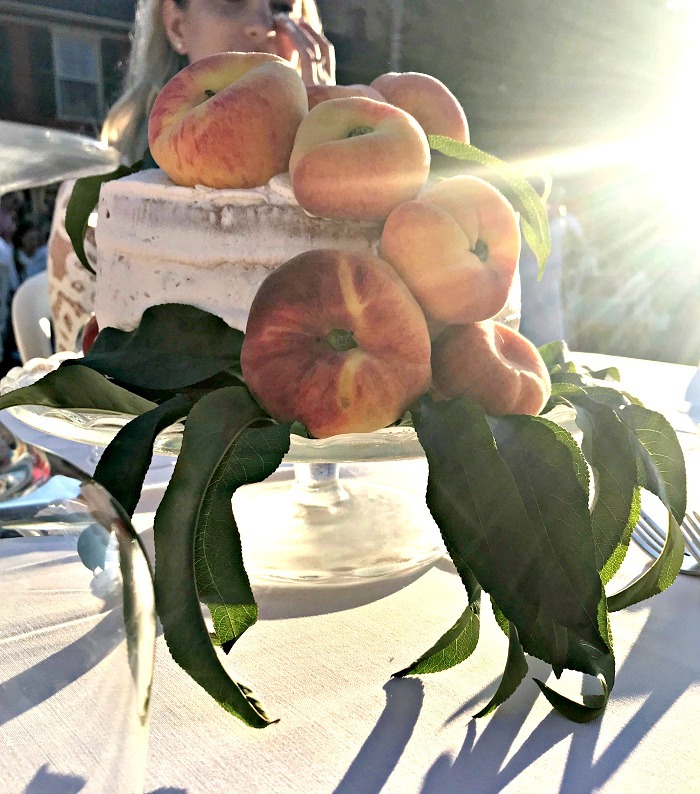 Since the cake is filled with a fresh peach sauce and buttercream icing, I went with a rustic ‘naked cake’ look to keep the sweetness level from going over the top! My daughter and her co-workers enjoyed a meal catered by Johnny Rocco’s. After I heard they had for dinner I wish I had have gone to the dinner too! Dinner started with fresh bread and rice balls, followed by salad with fresh peaches, spicy pecans and blue cheese. The main course was roast beef and potatoes or chicken with potatoes and fresh vegetables. And, if that weren’t enough, they had a tart with whipped goat cheese, onion, & mushrooms, and corn on the cob. Next year I will not be missing the dinner! I have to teach her to take pictures of her food!! I am lucky she snapped some shots of the cake before they dove into it! The cake was super easy to make, although decorating it did cause me a bit of stress! Regular peaches were just going to be large to decorate the cake and I didn’t want to cut peach slices as it as going to be hours between the time I dropped it off and when they would be serving it. As I was roaming the Peach Festival on Saturday I found one grower had these little donut peaches that were the perfect size! The most stressful part though was the peach leaves! I had to venture into a nearby orchard to snip a few leaves from the trees and was so worried I would be upsetting a farmer if he caught me! In the grand scheme of things, I don’t think they would miss the four little clusters of leaves I snipped off! Place one layer of the cake on a raised cake plate. Spread with peach filling, spread a second layer with butter cream and place it frosting side down onto the peach filling. Repeat until you have three layers. Skim coat the entire cake with butter cream to create a “naked cake” effect. Secure peaches onto the cake with buttercream and refrigerate to set. 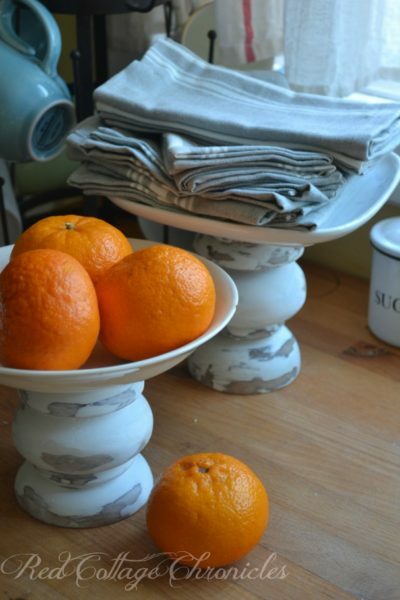 Decorate with peach tree leaves before serving. 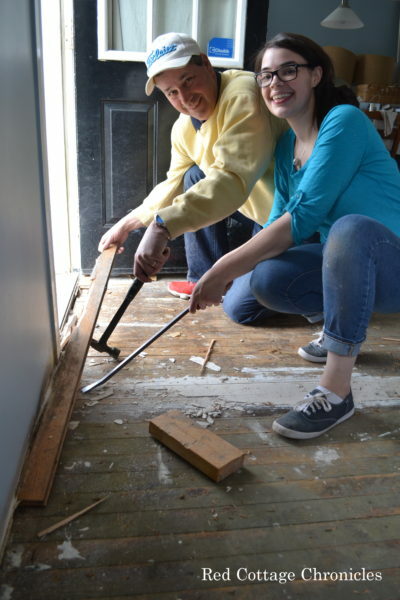 The key to a good “naked finish” is to put the frosting on a little heavy, and then using a metal spatula dipped in water, scrape off excess while smoothing at the same time. 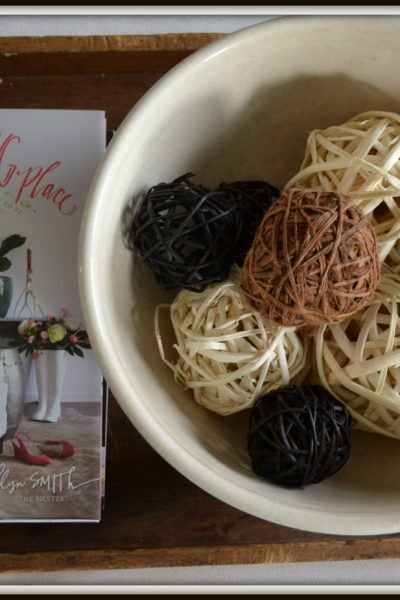 I have a Wilton Turntable that makes this a breeze to do! 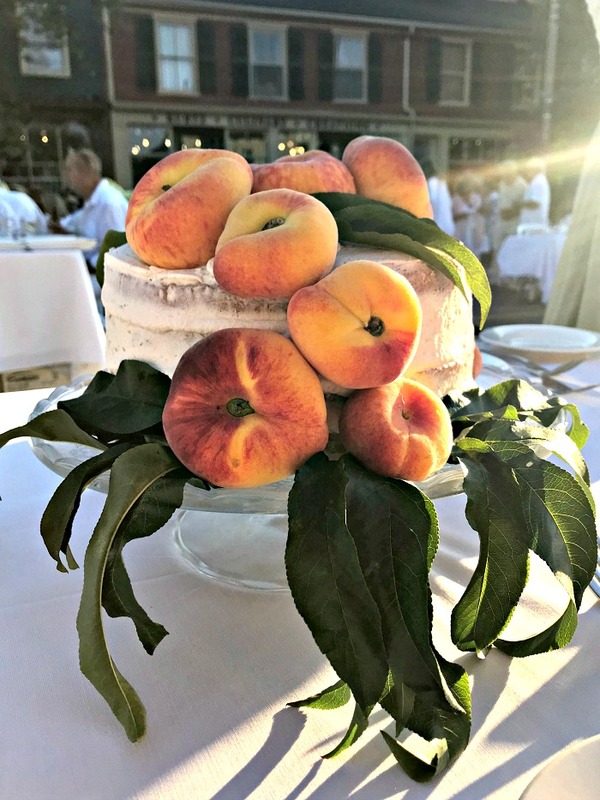 As the sun was setting on another Niagara On the Lake Peach Festival, the cake was enjoyed by all! After a very long day of setting up all the tables and chairs, organizing the wine and beer, and generally ensuring everything was ready to go for the party, she and her co-workers still had a long night ahead of them, taking them all down again before finally calling it a night close to midnight! If you have ever thought about visiting our lovely area, do consider a visit in August during the annual peach festival! You won’t be disappointed! With two days packed full of food, entertainment and activities it is an festival not to be missed! And, on that note, you don’t want to miss the happenings at Red Cottage Chronicles! Simply click here to subscribe and as a bonus for becoming a subscriber, receive your password to access or VIP printable library! Maureen, your cake is beautiful and I’m sure was delicious. 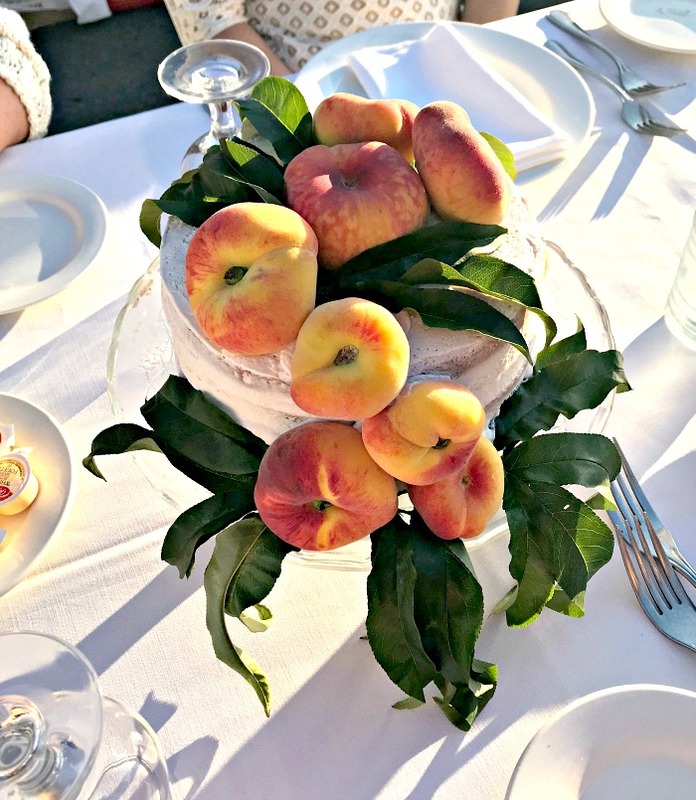 I have lived my entire life in Niagara and was aware of the NOTL Peach Festival but not of the Sunday evening white dinner. Something I will certainly keep in mind for next year. I am just now eating a local peach and it is so juicy and tasty. Enjoy this beautiful day! Thank you Kathryn! I am sorry I didn’t go to the dinner myself this year! I will definitely be going next year 🙂 One of the things I love most about Niagara is the fresh produce this time of year. Loving the peaches and the local corn. The musicians on the street this year were fabulous! But, a wedding sounds like fun too :). 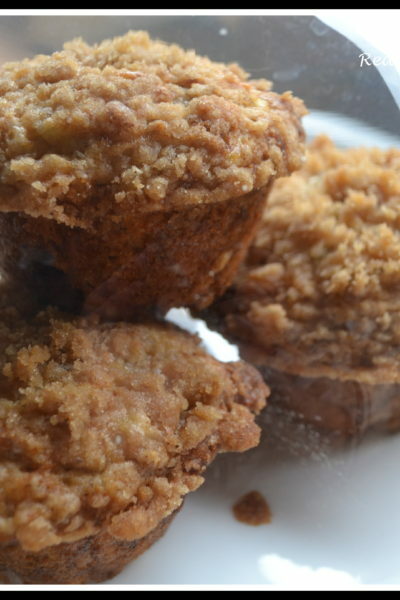 I don’t do a lot of gluten free baking, but if you hav never visited gfJules.dot, there are lots of gf cake recipes there! Let me know how you make out!